I have always been afraid of bed bugs. Parents start it with the whole "sleep tight, don't let the bed bugs bite" comment right before we fall asleep. 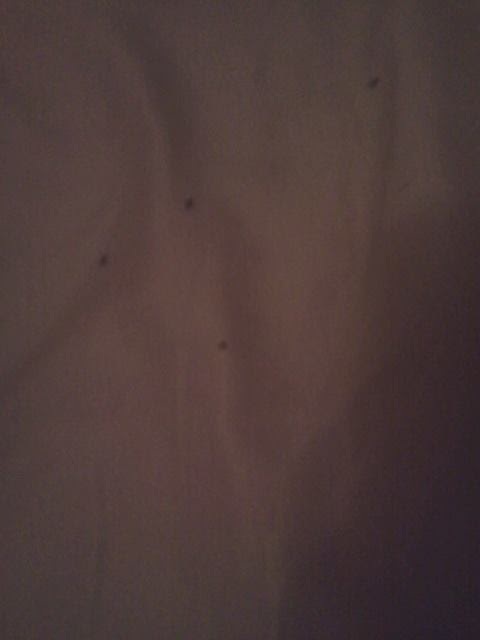 I couldn't imagine going through something like having bed bugs. I have a friend, that does have this problem. She lives in an apartment building and she got them because one of the apartments around her got them. I felt her pain, and when I saw this product up for review on Tomoson, I knew I had to try and get it to help her out. When I first read about this product, I wasn't sure that it would actually work. I know that she has tried many things that contain chemicals, but never anything that was all natural. So it's safe to say that we were both skeptical. But are willing to do anything to help her reclaim her life! 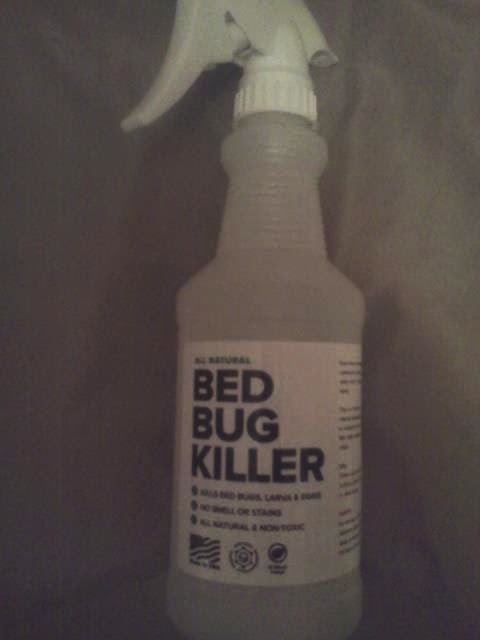 The instructions seem simple enough, just spray it on your bedding and anywhere else you have a problem with the bugs. It took some convincing, but I agreed to go there and help her, after I sprayed myself with Killer Green bed bug killer..of course. We walked around and sprayed all of the beds, chairs, couches etc. We also noticed a few places on the walls that appeared to be where they were coming from, and sprayed those spots as well. At first she told me that it was better in the bedroom that night. She said instead of seeing 50 or more bugs around the room, she said she saw maybe 10. The next day though, in other spots around the house that didn't get sprayed, she was getting eaten alive. Places where she never saw a bug, were now being over run by them. So she went through and tried to spray everything in the whole apartment. Of course the bottle was gone after that, but at least it was safe to spray on everything. With kids and pets, you can never be too safe. A few days into the 20 day trial (it claims to last 20 days before you need to reapply) it seemed like the spray wasn't working anymore. 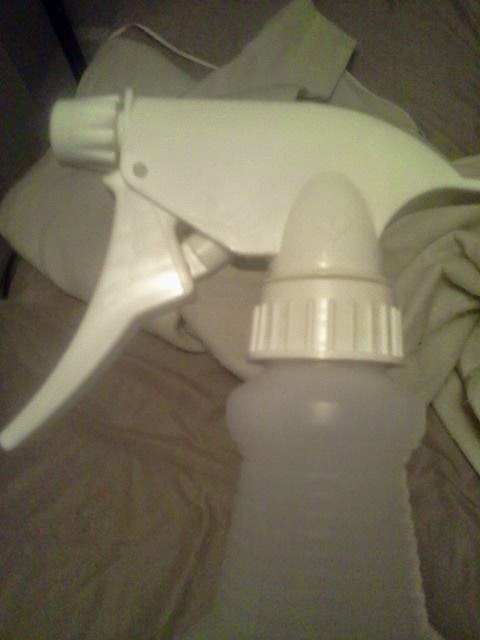 She almost grabbed her other spray but she said she stuck it out. After that it seemed to go back and forth for her. Some days, she didn't see any, others she saw a bunch (still not as much as before she started using the spray) and/or she found a bunch of dead ones laying around the apartment. This is definitely not a easy quick fix. It will help you out a whole lot and drastically reduce the number of bugs that you physically see, which means you won't be handing out as much of your blood as you did before. So, this product does help out a whole bunch. I am now willing to actually go over to her house, because I am not as afraid as I was before. I don't go much..obviously, because I have to protect my own home. 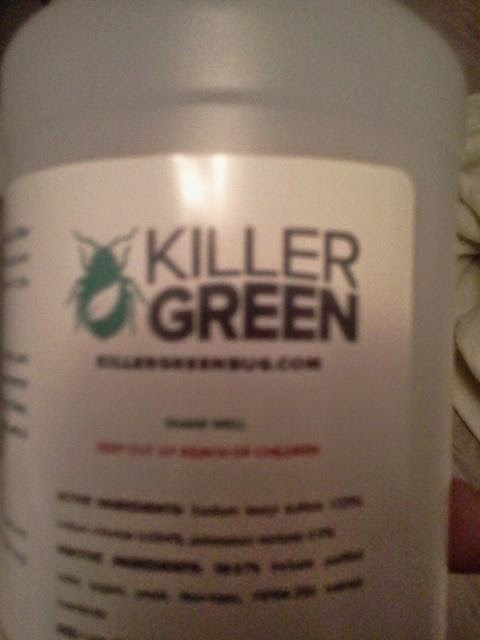 If you or someone you know has a problem with bed bugs or other small insects, then this spray is something you need to learn more about. You can do that by clicking here. You can also see what other people are saying about this product, and buy a bottle for yourself!! I received this product for free in exchange for my honest and unbiased review/feedback.